Man belongs to nature and that is how he has been designed to function. Originating from this notion, Cyberwalk was conceived to bring man and nature together, within an office environment that would enable better Ideation, creative thinking that would lead to innovation in a relaxed working environment. With an aim to head to the greener pastures in contrast to the monotonous cubicle farms that are no place to draw inspiration from, Cyber walk aims to create green office environs with a character endowed through trees. 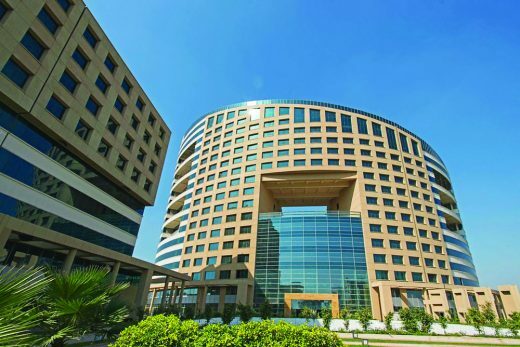 Conceptualized as a self-sufficient green building, it is located within a 150 acre information technology (IT) campus in Manesar, Gurgaon, in close proximity to Delhi. Amidst the concrete jungle of Gurgaon, Cyberwalk is enveloped by an oasis of green. The campus has been designed to utilize the natural resources of sunlight, air, water and power in the most efficient manner. 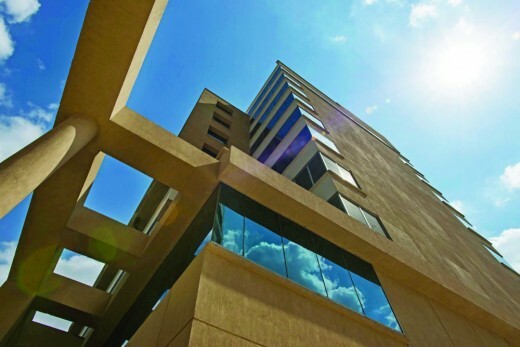 Cyberwalk has a dedicated area of 25000 sq.ft to 38000 sq.ft for commercial office space. Since the building aimed at a LEED rating, the architect wanted a glass that would ensure energy-efficiency high performance glass. Envision was chosen to meet the parameters of this green building. 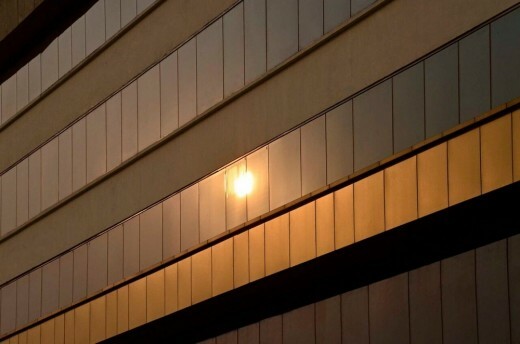 SGG Envision is a high performance glass with excellent thermal insulation properties and high spectral selectivity. It delivers a superior performance, ensures abundant light transmission and is relatively more transparent than other solar control glasses. With the extensive use of high performance glass Cyberwalk has become an exceptional model for green architecture. Cyberwalk shows the commitment towards creating an environment friendly, efficient and lower operating cost facility in line with the space requirements of a corporate office occupier. 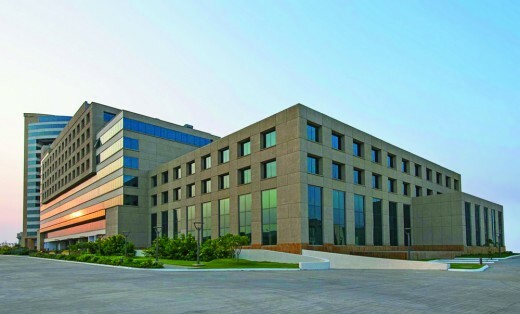 Cyberwalk is easily accessible in just 30 minutes from the IGI airport and a quick 20 min drive from the Gurgaon Iffco Chowk, the project demonstrates a deep commitment towards creating an environment-friendly, efficient facility that operates at lower costs, designed to be in line with the requirements of the contemporary Indian corporate office. 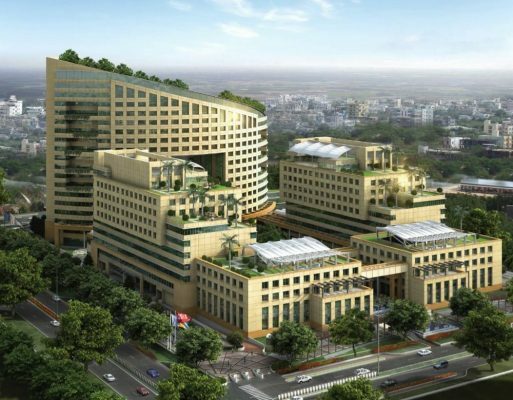 Well-connected through National highway 8, Dwarka Manesar expressway and the Kundli – Manesar – palwal expressway, Cyberwalk is also an attempt at creating a niche urban office Space development amidst a unique green environment, keeping in mind the requirements of the corporate end users. The Cyberwalk ensures a good quality of life for any employer with health and fitness center, swimming pools, day care centers, ATM’s, food courts and cafeterias. There is an ample amount of parking facility which is approx. 2000 in the basement and stilt areas which is even scalable to higher capacity in the future. The internal space has high floor to floor clearance with wide column, making the floor plates more efficient. Each tower has its independent drop off and pick zone with no hindrance to the traffic movement. The central spill out zone with interactive plaza with walkways, water bodies, sitting areas and greenery, full of trees, plants and lush greenery, far away from the methodical office space made of bricks and mortar only. Every now and then the chirping of the birds will soothe your frayed nerves, helping you function 24X7 with increased efficiency. Cyberwalk is divided in three set of building Evergreen Tower, Eco Towers and Eco suites. Evergreen tower is the exclusive skyscraper with a unique cutout is an architectural marvel. Designed with a unique sloping roof pattern, it gives you access to green open areas even in a skyscraper. There is a four-floor cutout in the centre of the building which brings harmony, success and passion in your life and houses a large 6,000 sq ft open air cafeteria. The spectacular view of the green landscaped central plaza of the campus visible from every floor. The building is located on the west side of the campus, the building climbs to 300 ft in the south west direction ensuring strong Vastu. The Large green terraces are on 6th, 12th to 16th floor ensuring a great spill out space for the work areas. 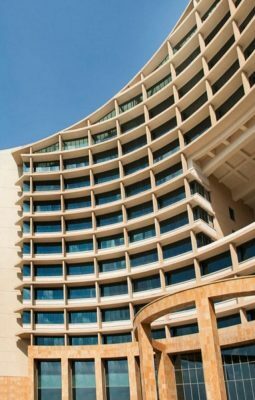 The 3 floor high sunlit atrium and grand entrance is overlooking the central plaza. in CYBERWALK allows you to enjoy greenery both inside and outside your office. 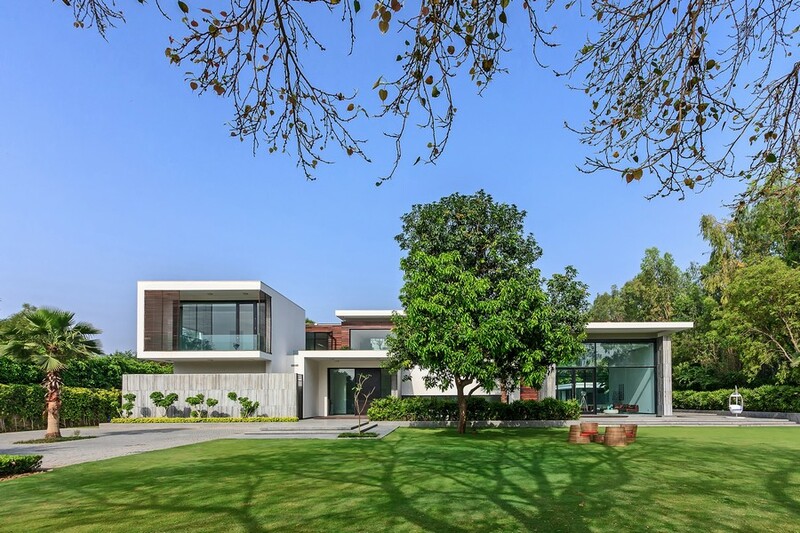 Exclusive terrace gardens seamlessly merge the indoors with the outdoors. The Food Courts and cafeterias are on the ground floor & roof tops. The plug & play business center planned on the 1st floor with a special stilt parking for senior management and executives. The landscaped rooftop cafeterias with 300 people seating capacity and Commercial/retail areas are located on the ground floor overlooking the central plaza. 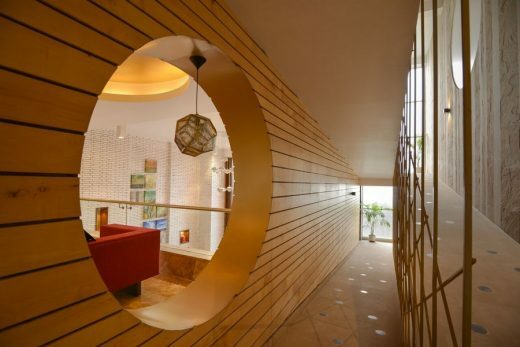 Eco Suites are two identical towers house the serviced apartments. They are developed keeping in view the walk to work concept and cater to the increasing lodging requirements of the modern day business. 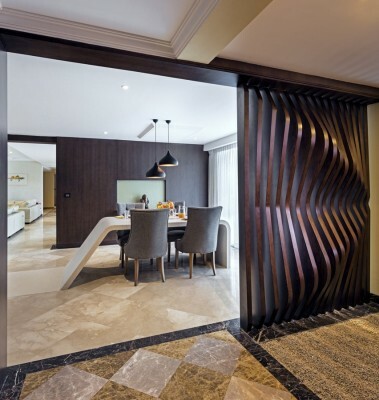 It has 147 serviced apartments with a connecting corridor at the ground floor houses the reception lobby. Every room has spectacular views and the suite has a large sunlit atriums. Built-Up Area (sq ft & sq m): 18.40 Lakh Sq.Ft.